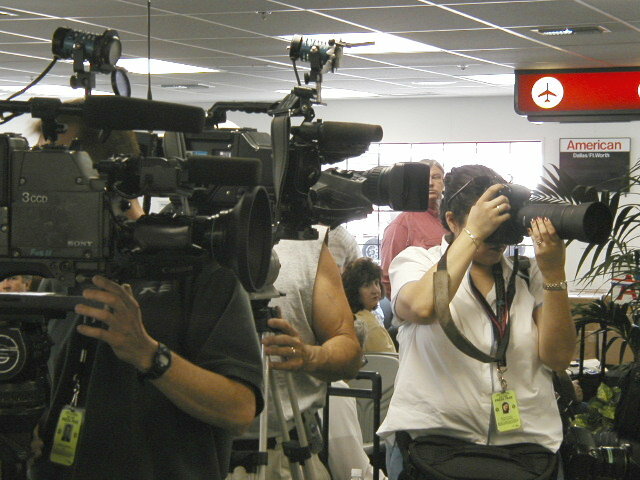 (June 20, 2002) -- A relatively small group of local officials politely attended an American Airlines media event at LB Airport on June 17, held by AA to draw attention to new LB flights to Chicago and NYC (which began Sat. June 15) using four temporary (revocable) flight slots. The event took place in a somewhat surreal atmosphere since AA is simultaneously seeking to make the temporary slots permanent...meaning four permanent slots above the number LB's Airport noise ordinance currently allows. AA has initiated the administrative (City Hall) appeal process of the city's refusal to date to grant additional permanent slots, currently pending. AA has not ruled out, but says it hopes to avoid, a lawsuit challenging LB's actions in the matter. (Additional details below). Two of the three speakers at the LB Airport event were American Airlines officials: AA's LB General Manager Carl Perillo and AA's Regional Manager of Passenger Sales, Rosilyn Richey. "You can be sure that each one of us in the Long Beach team will do all we can to make the new routes successful, and successful for our community," Mr. Perillo said. Ms. Richey said, "With these new routes, we have a great deal more to offer the community and the thousands of air travelers who use the Long Beach airport." 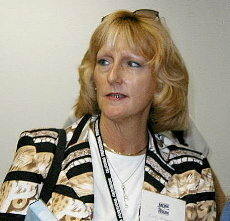 Mayor Beverly O'Neill was out of town for a U.S. Conference of Mayors meeting and Vice Mayor Dan Baker did not attend. "On behalf of our City Council, our Mayor and myself as representative of the 3d district, I'd like to welcome you to California's most popular airport. American Airlines has been a long time friend to southern California travelers and we're pleased that we can provide for the traveling needs of our citizens. O'Hare and JFK are strong markets and we certainly appreciate their airline's interest in serving our city. It's consistent with our Strategic Plan to utilize our airport within our Noise Compatibility Rules and Ordinance." 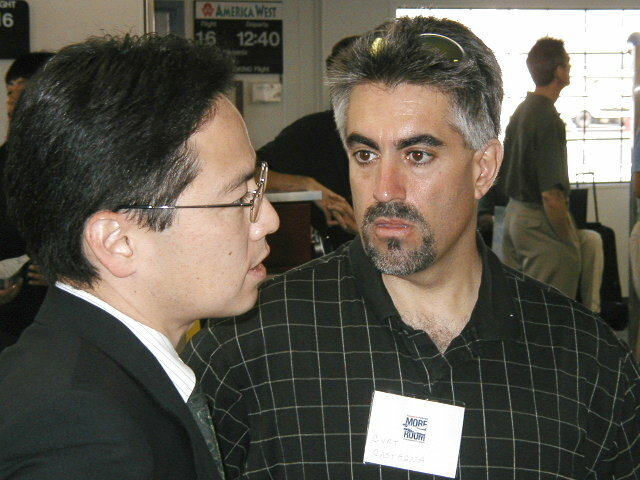 We didn't see City Manager Henry Taboada, although Public Works Director Ed Shikada was present, seen here with LB Airport area business leader (Aeroplex) Curt Castagna. 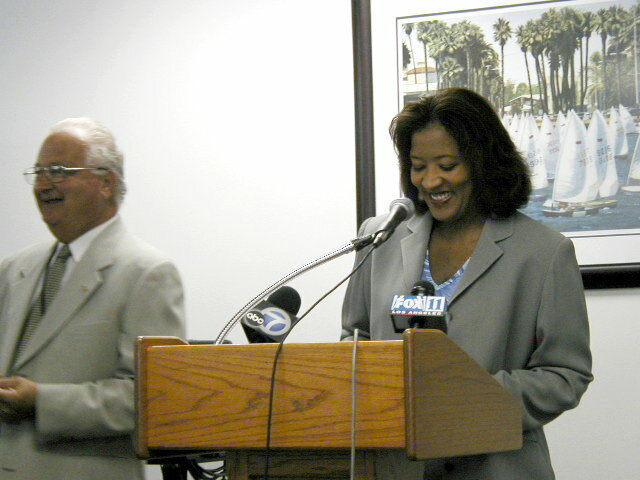 LB City Attorney Robert Shannon and Assistant City Attorney Heather Mahood also attended. (No, they're not analyzing a legal brief; they're perusing some promotional materials) 4th and 5th district Council aides John McNaughton and Tim Patton visible in background, right. 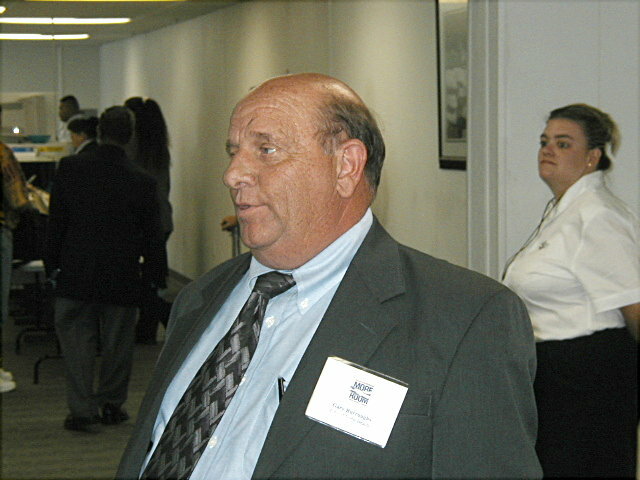 Also present, LB City Auditor Gary Burroughs. 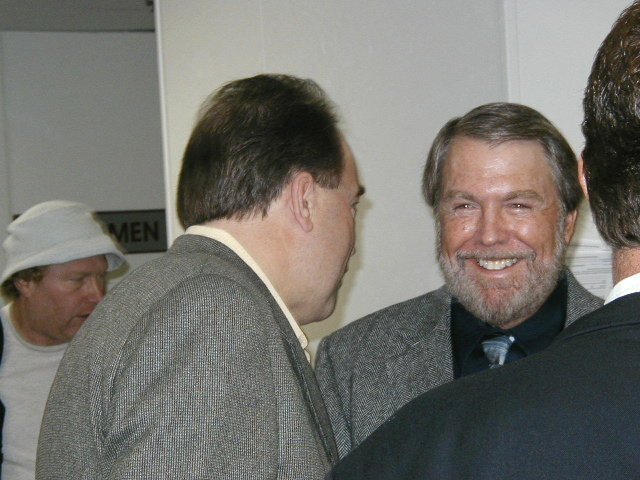 LB Area Chamber of Commerce maven Randy Gordon (left) grabs a word with LB Airport Director Chris Kunze. 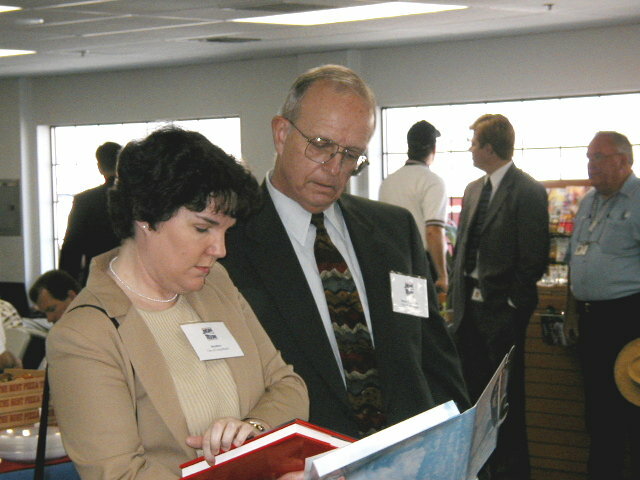 And JetBlue's Kristy Ardizzone attended. 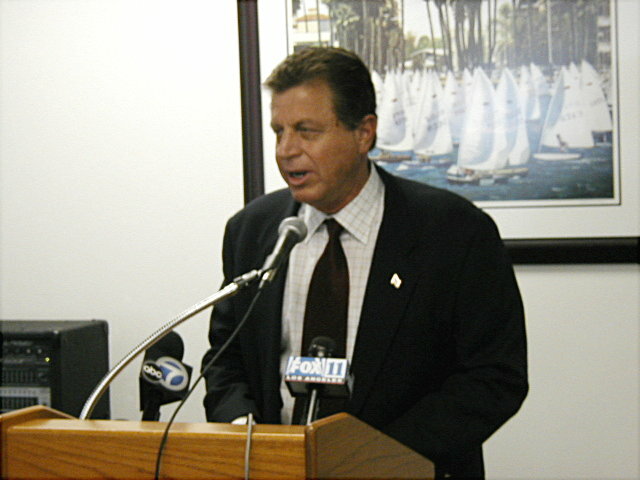 Local broadcast media (we saw TV channels KABC-TV 7 and KTTV Fox 11) and print media were present. 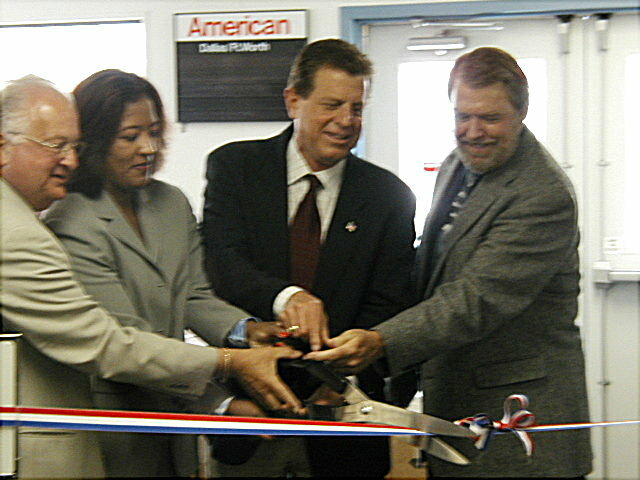 The traditional ribbon cutting included AA officials Perillo & Richey, Councilmember Colonna and Airport Manager Kunze. It is the mutual desire and intent of the parties that execution ad implementation of this Agreement not prejudice their respective legal interests, rights and positions in the event of any future litigation between them. The parties intend to continue to address in good faith issues arising from the [AA] Airline's request for an allocation of permanent flight slots beyond those presently operated by Airline at the Airport. 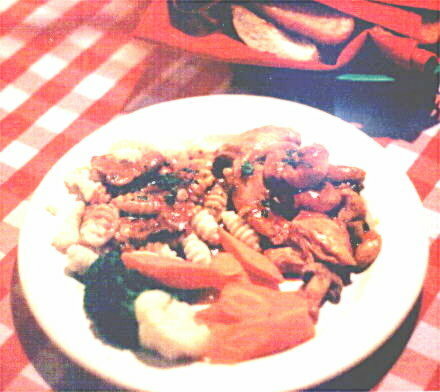 However, in any future litigation between the parties regarding or arising from the allocation or decision not to allocate requested slots, execution and implementation of this Agreement by the parties shall not be deemed to constitute or result in a material change in position of either party for purposes of requesting relief in any future litigation between them regarding slot allocations...Airline further agrees that, if it sells or offers to sell any tickets to the public for trips to or from the Airport for dates after January 6, 2003, it does so at its own risk and without the concurrence or approval of the City; and Airline further specifically agrees that any such sales shall not constitute or contribute to any "burden," "injury" or "hardship" on Airline for ay purpose in any litigation or administrative proceeding Airline may initiate or request against the City for purposes of adjudicating any request by Airline for Temporary Restraining Order, Preliminary Injunction or comparable judicial or administrative relief; and Airline will not make any such argument in any such proceeding.